Penne Pasta with Vodka & Tomato Cream Sauce. Simple and wonderful. Chalk up another one for the recipes of Marcella Hazan. Somehow, taking a basic, spicy red sauce and adding a very neutral-tasting spirit results in a dish that is completely intense and satisfying. The sum is much greater than the parts. Wine is the alcohol of choice called for in so many recipes. And we are all taught that this is due to wine’s flavors and acidity, and that most of the alcohol cooks off. But, this is not the case. Flambéing only rids 25 percent of alcohol, while simmering a sauce for 30 minutes or 2 1/2 hours decreases the alcohol level only by 65 percent and 95 percent, respectively. Even if a dish is slow-cooked for hours, alcohol affects the end product. I concur that wine’s crisp acidity is a key component that tenderizes, cleanses, balances and enhances food. It plays a key role in marinades, salad dressings, poaching liquids, sauces, stocks, stews and braises. But, if it is just acidity that matters, why not use something else acidic in the recipe (e.g. lemon juice) and save the wine for drinking? But alcohol does matter. In fact, it matters a lot. Simply put, alcohol extracts and carries foods’ flavors. Flavor components in food are either water-soluble or fat-soluble. Alcohol can dissolve water- and fatsoluble flavors, as well as dissolve other flavor components that neither water nor fat can. Therefore, alcohol brings out more intense flavor! When all is said and done, wine reigns supreme. If neutral alcohol can have such effects on flavors, it is little wonder that wine is a necessity in the kitchen. Wine has the fruit and aforementioned acidity to add depth and vibrancy to a dish, and it has the alcohol to bring out an amazing depth of flavor. For me, sipping a glass of wine while cooking is just as important as the recipe itself, so I always heed the advice to cook with a wine you would drink. So-called “cooking” wine from the supermarket is basically bad vinegar loaded with sodium; it will ruin a dish. Affordable, pleasant and dry—that is what I look for in basic kitchen wines. Cooking with the same type of wine served at dinner is an obvious route to success. If your dinner wine is pricey, a lesser version of the same varietal will be a great choice. Noilly Prat Dr y Vermouth, France ($11.99). I always have a bottle of this in my refrigerator. If used only for dry martinis, it would last years; however, this is the best go-to cooking wine, especially in any recipe where deglazing with white wine is called for. Bogle Sauvignon Blanc 2007, California ($8.99). True varietal character at an affordable price: lemony, grassy, vibrant and crisp. 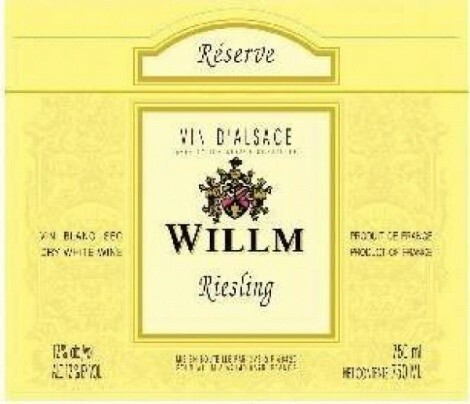 Willm Riesling 2007, Alsace, France ($12.99). Complex for the price, fruity and floral. Racy, straightforward acidity with hints of citrus and peaches. Maintains that mineral quality so typical of Alsatian Riesling. Dow Vale Do Bomfim 2006, Duoro Valley, Portugal ($9.99). Ripe fruit, touched by vanilla and layered with black jelly flavors. This is a dry red wine sourced from the same vineyards that give us Portugal’s famous Port wines. Ercavio Roble 2007: La Mancha, Spain ($9.99). Ripe, no-nonsense fruit with a lip-smacking finish. Great value! Cheap Skate Meritage, California ($7.99). This madman winemaker jokingly says this is his answer to Opus One. In today’s economy, he could be right. You could pay double this for another bottle and not get quality as good.